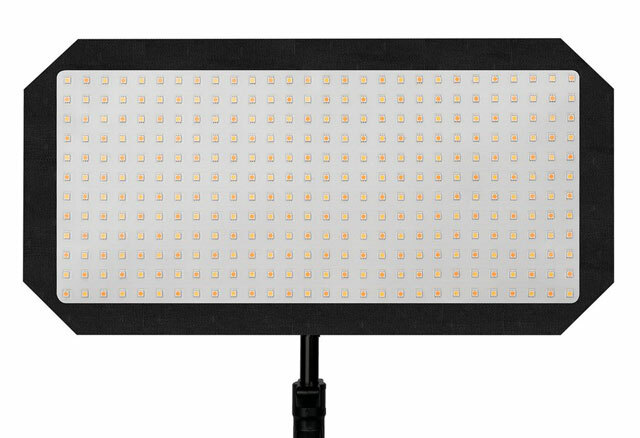 GVM 560 LED Video Light: an affordable LED panel with app control. It has a temperature range of 2300K-6800K and 560 CRI 97+ LED beads. Ikan Canvas Bi-Color 2800K-6500K Bendable LED Light: these bendable fabric LED panels have a beam angle of 120 degrees. It can be controlled via an iOS/Android device. Has a CRI of 95. Luxli Timpani 1×1 RGBAW LED Light: not a cheap light by any means but delivers a lot of features for the money. It has a variable color temperature of 2800-10,000K. 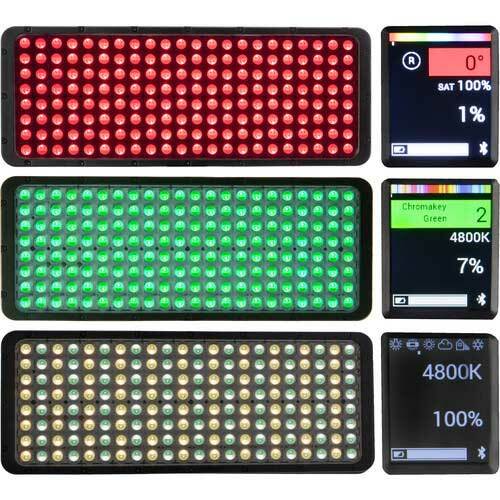 It comes with 150 digital gels and fun effects to increase your production value. Luxli Cello 10″ RGBAW LED Light: very similar to the previous light but much more compact. It runs on a NP-F750 battery. It has white, RGB, and filter modes (with 150 gels). You can control the light via the Conductor app. 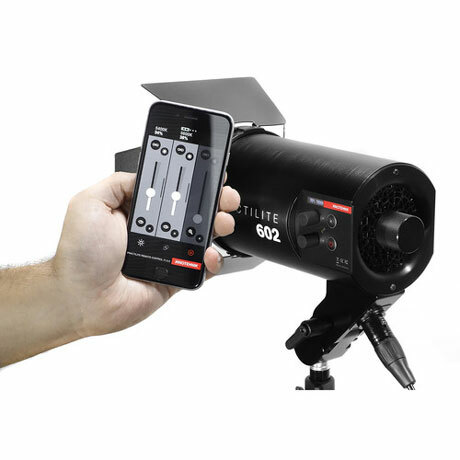 Kinotehnik Practilite 602 LED Fresnel: features a 3.2″ Fresnel lens and variable color temperature of 3000-6000k. Its bean angle is adjustable from 15 to 75 degrees. You get iOS/Android control via Bluetooth. 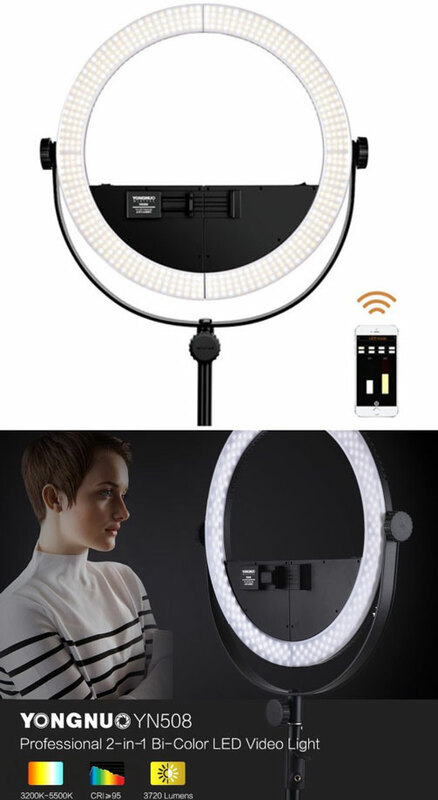 Yongnuo YN508 LED Ring Light: a bi-color ring ling with 2-part breakaway design. It also has a clamp for your mobile phone. Owners can change the light’s brightness and temperature from their mobile device. 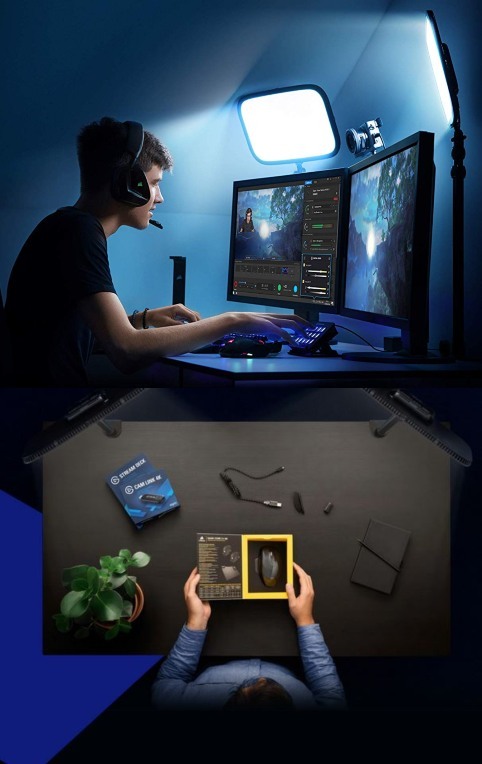 Elgato Key Light: an app enabled studio LED light for gamers and streamers. Its color temperature is adjustable from 2900 to 7000k. 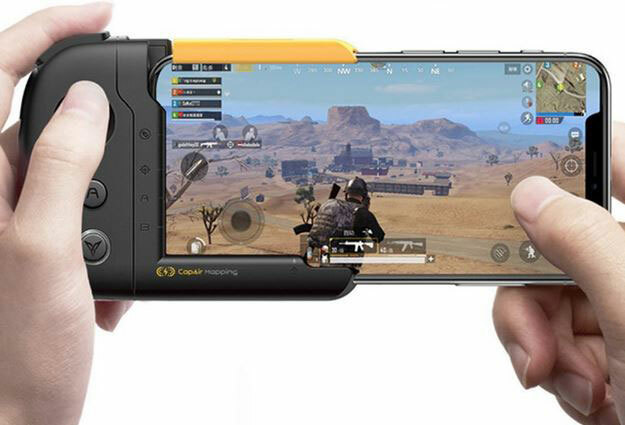 It is compatible with Stream Deck. Doesn’t produce a whole lot of heat. 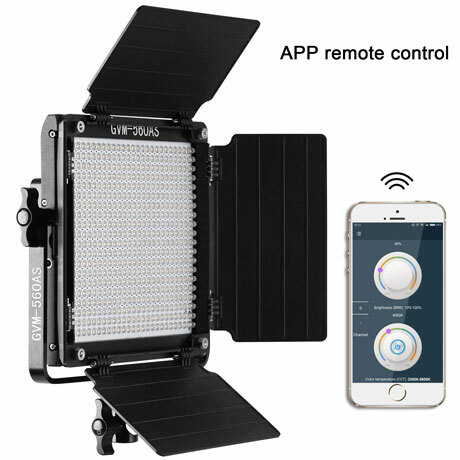 Have you found better app-enabled video lights? Please share them here.